Library Administrators may access reports for Ancestry Library Edition here. If you are within the library's IP range assigned to Ancestry Library Edition, you should be automatically authenticated. If you are instead prompted to login, please contact the ProQuest Customer Service team at 1.800.521.0600 ext. 72971 to confirm your role in the library and acquire the necessary login credentials. Below is other information and materials to help your implementation of Ancestry Library Edition. What's new in Ancestry Library Edition? Did your library just subscribe to Ancestry Library Edition? The press release template can be customized to promote the new genealogy library resource in your community. The template is available under the additional materials tab. UPDATED - EXPLORE BY LOCATION PAGES! Ancestry offers an intuitive new Explore by Location feature. This enhancement allows researchers to quickly access records by geographic location. 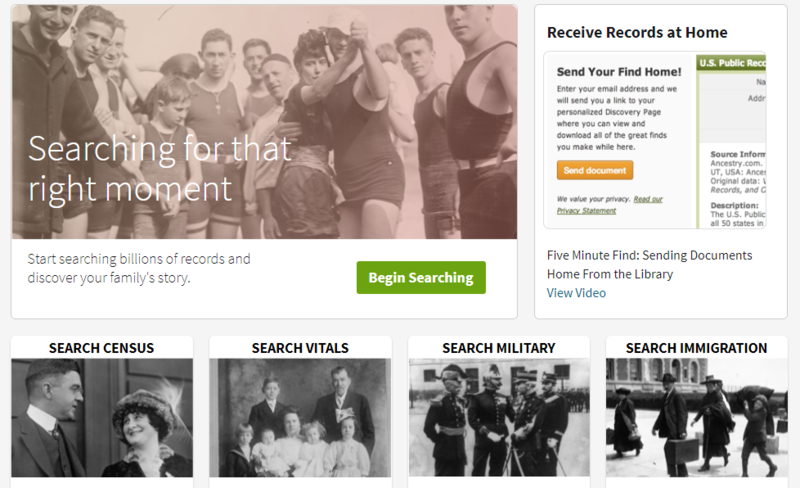 It's easier than ever to focus in on records relevant to a place your ancestor may have lived. See more about this feature under the "Search Tips" tab. Ancestry offers powerful search features to help you control the results you get from your searches. We are making a few updates to our search forms to make searching more intuitive and to help you more easily locate your ancestor. Give us five minutes and Ancestry Anne will show where to find all of your favorite features, and introduce you to some features you may have been missing. Learn More about the New Search Pages! Next time you are reading a non-fiction book about a historical event or people use Ancestry Library Edition to learn more about the real-life characters and locations via historical and genealogical records! For questions relating to account management or support.